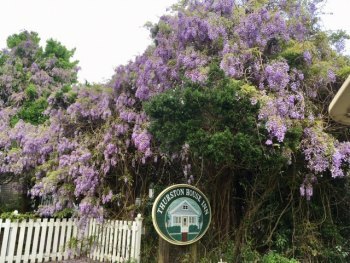 One of the prettiest spring sights on Ocracoke! NPS volunteers and rangers open the Ocracoke Lighthouse a couple of times a week. (You can go in, but not up!) Stop by the NPS Visitor Center for specific times or check the Current's Facebook page. Today's home baseball game has been postponed. 7pm: Island Trivia @ Gaffer's. Just $2 to play: proceeds benefit a local good cause. Teams of up to 4 people compete to show off how smart they are! The Back Porch and Flying Melon restaurants open for the season today, both serving dinner only. 8am: Vote! One-Stop Primary Voting @ Fire Hall This primary election is to vote for a candidate to fill the House of Representatives seat left vacant by Walter B. Jones's death. 2pm: Arts Week Assembly @ Ocracoke School. All are welcome to the school gym to see what the kids have been up to this week at their arts classes. 5:30pm: Seder Experience @ OUMC. Join us for a sample Passover Seder meal as Rev. Bryant talks about each course and its symbolism and meaning. Ocracoke Library is closed today for Good Friday. 12pm: Good Friday service @ OUMC. 1pm: Book Signing with Pat Garber @ OPS Museum. Author Pat Garber will be in the museum to sign her books and chat with you. Be sure to come meet this iconic Ocracoke resident. OPS has a selection of Pat's books available for purchase in our gift shop or you can bring your own copies for her to sign. 9am: Ocracoke Waterfowl Festival @ Ocracoke School gym. Over 30 vendors will fill the gym with decoys. This year's featured carver is Dan Robinson. Lots of great food available. Festival parking will be at the National Park Service parking lot at Pilot Town Road and Irvin Garrish Hwy. near the ferry docks in the village. A free tram service will be running from the parking lot to the festival and back all day. 11:30am: Clam Chowder Cook-Off @ Ocracoke School multipurpose room (adjacent to Waterfowl Festival) Tasting tickets are just $12! Tasting starts at 11:30am and ends at 1pm. The winners will be announced as soon as the votes are tallied. Entries are Traditional or Non-Traditional chowders. 1pm: Easter Egg Hunt @ Berkley Manor. Sponsored by OUMC. All are welcome! 8pm: Live Music! 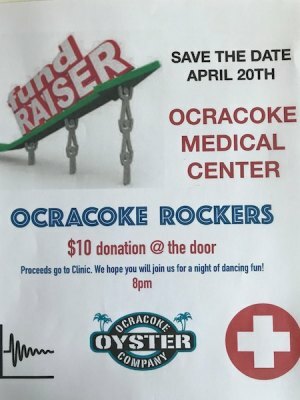 Dance with the Ocracoke Rockers @ Ocracoke Oyster Company. 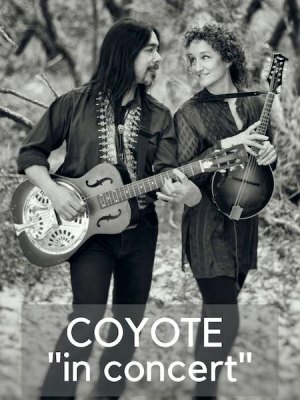 $10 cover charge -- proceeds go to Ocracoke Health Center, Ocracoke's non-profit clinic. Good times for a great cause!! 7am: Sunrise Service @ Lifeguard Beach Happy Easter! Both churches join together for this annual tradition. Services @ both churches: Ocracoke United Methodist (Easter service at 11am) and Ocracoke Assembly of God (Sunday School 10am, services at 11am and 6pm; also Wednesday night service at 7pm).